Rooting your Android device unleashes its full potential, giving you complete control over your phone or tablet. While rooting comes with several benefits, it also has certain drawbacks like void warranty, restriction from OTA updates, and certain security risks as well. The great thing is you can always unroot Android device and restore it to its former glory without much hassle. There are multiple ways that can be used to learn how to unroot Android phone or tablet. To make your life easier, here is the easiest method to unroot Android device. 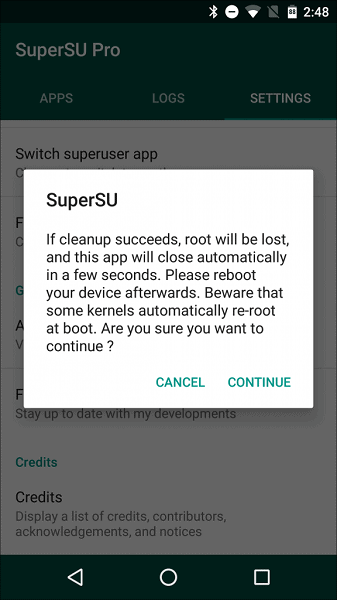 If you aren’t familiar with SuperSU, it is the most popular root management app available for Android. You will find SuperSU on most of the rooted Android devices as it is necessary to manage the apps that you are providing root access to. You can simply download SuperSU from the Google Play Store on your rooted device. 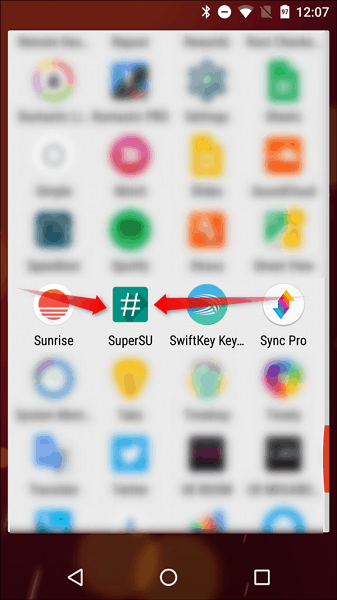 To start unrooting your Android device, open the app drawer and tap on the SuperSU app icon. 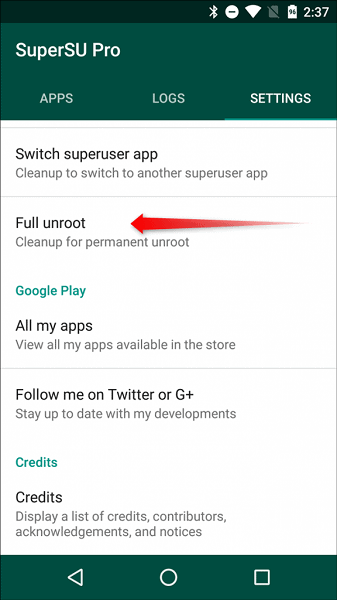 Within the SuperSU app, access the Settings tab, scroll down to the bottom to find the “Cleanup” section and tap on “Full unroot”. When you press the “Full unroot” option, a pop-up window will appear, asking you to confirm whether you want to continue and unroot your Android. If your Android device is running Marshmallow and was rooted with a system-less method, another window will pop-up when you press “Continue”. This window will ask you whether you wish to restore the stock boot image or not. 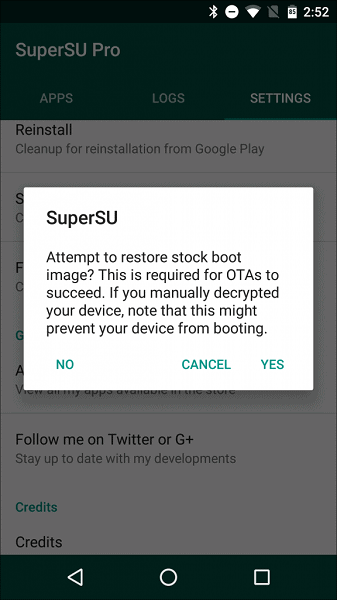 The stock boot image is necessary for OTA updates, so it’s always good to select “Yes”. After a while, SuperSU will clean up the installation and remove itself from your device. The process should take just a couple of seconds and your device will be unrooted when it reboots. Were you able to unroot your Android device with the help of this guide? Out of all the ways to unroot Android, which method do you find the easiest to use? Let us know your thoughts in the comments section below.